We recently added 500 new photos to our extensive photography collection! All of our images are available for custom printing on an array of paper, stretched canvas, and rolled canvas. Check out these new pieces and more on our custom printing page . Search by New Releases for the most current photos. 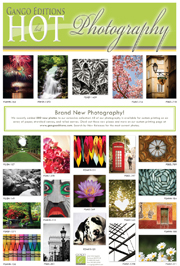 You can download our new Photography Hot List here .